ADAPTATION LOST QUEEN MERLIN BRUNA PAPANDREA TO TURN SIGNE PIKE'S MEDIAEVAL SCOTLAND SET HISTORICAL ADVENTURE 'THE LOST QUEEN' ON MERLIN'S SISTER INTO TV SERIES! 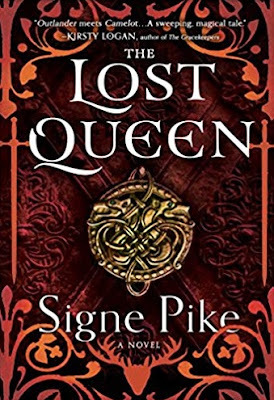 BRUNA PAPANDREA TO TURN SIGNE PIKE'S MEDIAEVAL SCOTLAND SET HISTORICAL ADVENTURE 'THE LOST QUEEN' ON MERLIN'S SISTER INTO TV SERIES! THE LOST QUEEN which was published last month in USA and is seeking international publishers this week at world's biggest book fair in Frankfurt! THE LOST QUEEN is set in medieval Scotland, a land of mountains and mist, tradition and superstition. It follows Languoreth, a woman born between the ways of the old ancestors and the burgeoning forces of Christianity and the Anglo-Saxons, bent on colonization, encroaching from the east. As she is catapulted into a world of violence and political intrigue, she must learn to adapt to survive, and together with her brother, a warrior and druid known to history as Myrddin (Merlin), has to assume her duty to fight for the survival of her kingdom and its way of life or risk the loss of them both forever.